Taking Care of Your Dental Hygiene Now Can Keep You Out of the Doctor’s Office LaterIs a Fixed Bridge Right for You? The human mouth is filled with over 600 different types of bacteria. Some of these provide many benefits, protecting our mouths from more hostile bacterial invaders. However, a substantial amount of this bacteria can do significant damage. Plaque is a coating of bacterial film that consumes residual sugars left over in our mouth from the food we eat. This substance produces acid that eats away enamel. Ultimately, this results in cavities and even worse dental issues down the road. Our dentist Dr. Andres de Cardenas wants to outline some of the negative effects that may display without regular professional teeth cleaning. 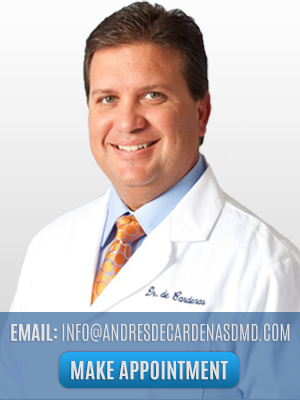 Administering his teeth cleaning in Miami procedure, Dr. de Cardenas has seen the detrimental effects of neglected oral care firsthand. Teeth cleaning in Miami helps you keep plaque under control. Without professional intervention, plaque breaks down enamel, leading to tooth decay. Dr. Andres de Cardenas cleans and removes plaque during his teeth cleaning in Miami procedure. Skipping even one appointment enables bacteria to flourish as it attacks the teeth and gums. As a result, you may require more involved dental procedures including root canals or crowns. Excessive bacteria may also cause unpleasant side effects like bad breath. Left alone, tooth decay may evolve into gum or periodontal disease. Our gums boast a design that provides tight cover around our teeth and roots. Bacteria attack the gums, resulting in substantial swelling or bleeding. When this occurs, the bacteria may settle underneath the gum line. Without proper dental intervention from a teeth cleaning in Miami, this will cause periodontal disease and gingivitis. Many foods and drinks we consume, as well as tobacco use, stain our teeth. This creates a dim, unattractive smile. Professional teeth cleaning in Miami from Dr. de Cardenas helps to remove these stains. Nonetheless, darker discolorations often require more complex cosmetic dentistry procedures to achieve white, shining teeth. Teeth cleaning in Miami will often accompany a comprehensive dental examination. This analysis may uncover signs of serious medical issues. Early intervention from a dental professional detecting potential problems helps you save money in the long run by avoiding costly medical bills. 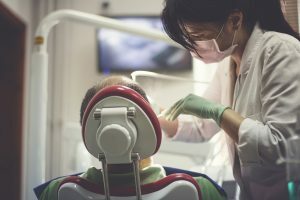 Without regular dental visits, conditions like hypertension, diabetes, oral cancer, kidney failure, and heart disease may continue going undiagnosed before reaching an evolved stage. Dental visits typically take place more frequently than the average doctor’s appointment. For this reason, professionals like Dr. Andres de Cardenas remain perfectly positioned to inform their patients early on about detrimental health problems. Brushing and flossing in conjunction with regular teeth cleaning in Miami can protect your mouth while preventing any number of dental issues. Dr. de Cardenas cares about his patients and their smiles. Our dental practice takes pride in offering affordable, gentle dental care. For more information on our teeth cleaning in Miami, contact us today to schedule an appointment!